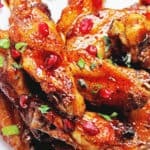 Uniquely flavorful and sensationally delicious pomegranate wings get upgraded to pomegranate honey wings perfect for entertaining. With the Super Bowl around the corner, I am pretty sure you have an insane amount of wing options taking over your blog feed. Well I didn’t want to go cliche’ and give you the standard buffalo wings (even though I love them like anyone else). I already spiced things up for you with the Mango Jerk Wings so it was pretty much go big or go home with these Pomegranate Honey Wings. Oh I forgot to mention that this past week I was the Yahoo! Food Blogger of the Week. It was pretty awesome. Yahoo! 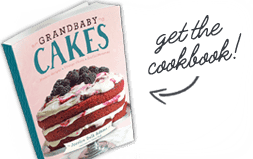 shared three of my recipes and two features on me which you can find HERE and HERE. It was a pretty amazing experience which I am totally grateful. Now that is a great way to start the year! Ok back to these wings. Let me just say these pomegranate honey wings are crazy good. Like crazy delicious good! First they were going to just be pomegranate wings but the honey really upped that sweet factor in a subtle way. There is a bit of heat because I like heat but its just sooo perfect with the sticky sweetness of the pomegranate juice and honey coating. I am warning you that you will need wet napkins because the stickiness is…well, sticky but I don’t think you will mind too much. I also think you might have a problem quitting these babies. They are quite convenient to make too. You can be a badass and use fresh pomegranate juice if you are up to it or save some time and just buy some pomegranate juice from Pom which I have done occasionally. Either way, these will be perfection I guarantee you. 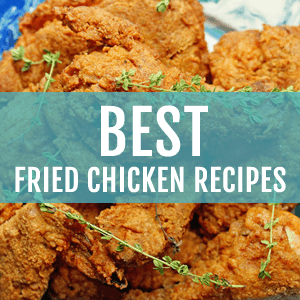 So think outside the buffalo and fried wing box this Super Bowl. 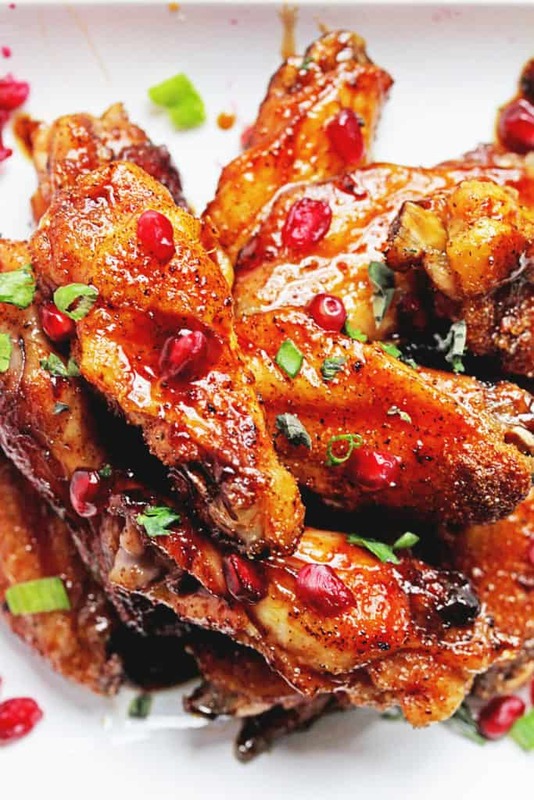 You deserve the opportunity to change the game and do something different starting with these Pomegranate Honey Wings. Pomegranate juice and honey create the perfect coating on spicy game day wings. Whisk together pomegranate juice, honey and brown sugar in a saucepan over medium heat. Allow the mixture to reduce to 1/2 the original ingredients or until it has thickened. Line a baking sheet with parchment paper and evenly season both sides of wings with salt and pepper, garlic powder, onion powder and cayenne pepper. Bake for 16-20 minutes or until clear juices run out of the wings then baste or dip each wing in the pomegranate sauce and bake until sticky and golden brown for another 6-10 minutes (watch them carefully). If you want, you can double baste if there is enough sauce left for extra sticky love. Garnish with pomegranate seeds, green onions and herbs if desired and serve. Yahoo! Food Blogger of the Week!! Congrats! That’s so exciting! I can never get enough wing recipes and these look superb! 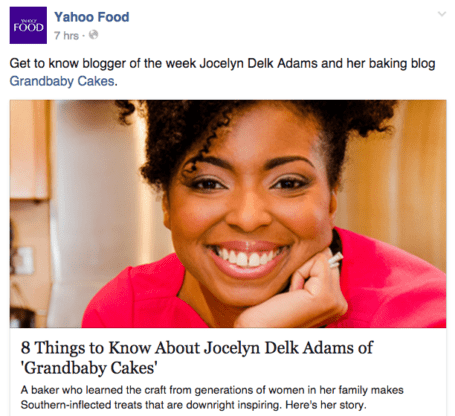 Congrats on being the Yahoo blogger of the week! You are so awesome and totally deserve it!! I love these wings – What a fun change from the traditional buffalo wings. I could eat this entire plate!! Jocelyn I can’t get over these wings. They sound AMAZING! And congrats on your feature – that’s awesome!! Pass me a napkin because I am ready to dive into that plate. They definitely do look crazy delicious good! What?! This looks amazing, I know these are perfect! These are perfect for the super bowl! Thank you honeybun. I love the pomegranate addition to these! Yes it is such a great combo of flavors. It really works so well! 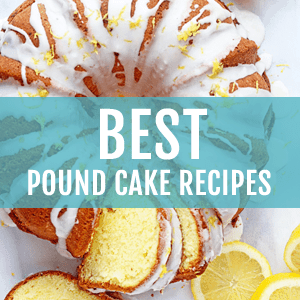 I LOVED your article on Yahoo Food! How freaking cool is that?!?! Also these wings! OH MY GAWD! These are next level, I never would have thought to combine these flavors. Thanks boo! I am in love with these wings haha. game day perfect!! what a great creation girl! So exciting on the blogger of the week feature girl! I checked a few out when you shared it on facebook! This wings… girl! Love the honey pomegranate idea, they look sticky and all kinds of yummy. Pretty sure this needs to be on my superbowl menu! Thanks hon! And they are super sticky and delicious. They light my fire! First, congrats on Yahoo! 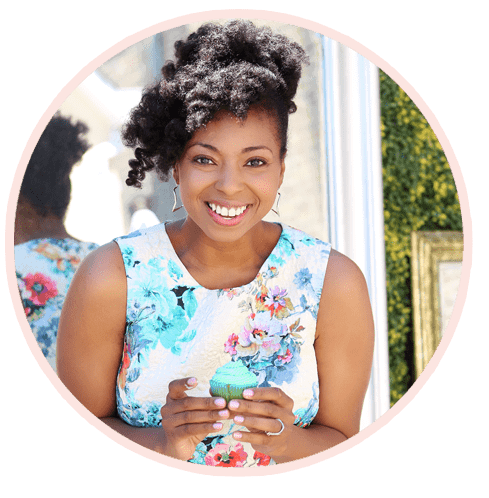 food blogger of the week – that’s so awesome! And secondly, these wings. They look so delicious! Love the pomegranate, makes the color so gorgeous. Pinned! I love pomegranate juice! I want it in my home at all times now! These wings sound fabulous! Congrats on getting featured as food blogger of the week! These wings need no ‘splaining. The photos do it more than enough justice. I want them in my mouth right now! Yay! I was so glad to see that you were featured as the food blogger of the week! And these wings are just calling my name. The pomegranate sauce sounds amazing and I love the addition of the pomegranate seeds for extra crunch! YES! The pomegranate seeds are a lovely extra touch! I agree. They would be awesome with that. I love the pomegranate on wings. It is my new fave thing! Wow, congrats, Jocelyn! You so deserved it! 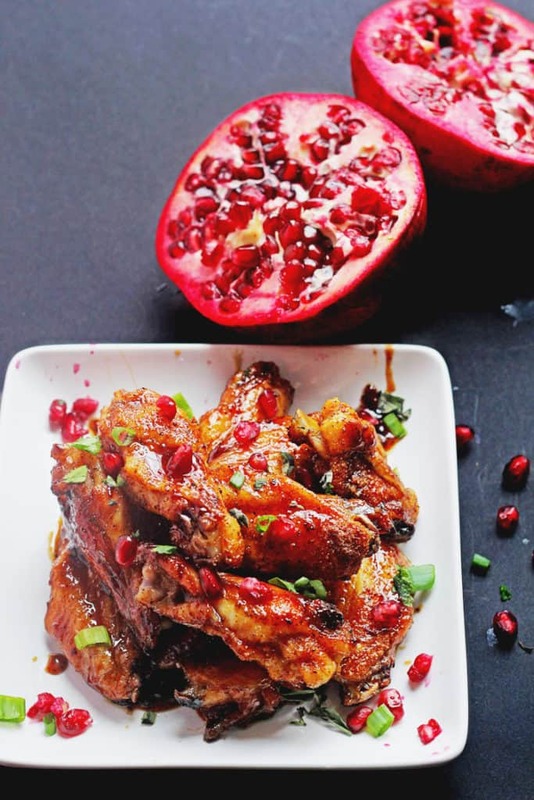 And these pomegranate honey wings??? I LOVE it. I love pomegranates and wings. Gosh, you’re genius! 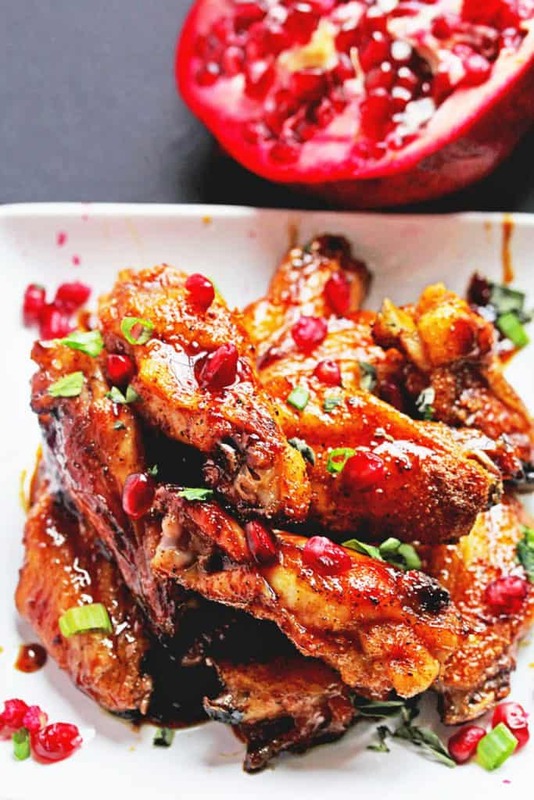 Yes these pomegranate wings are to die for! 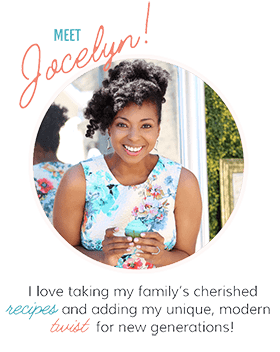 I read your Yahoo articles and loved them Jocelyn – congrats!!!! You’re such an amazing blogger. BY THE WAY the Mr. would eat these right up! Awww thanks so much hon! Also these are great for the misters for real! oh my gawd, J. . pomegranate juice?!!! this is brilliant!!! love these wings!!! woot woot!! Thanks boo! I love some pomegranate juice! Wow! You are truly amazing! I’m deeply in love with these wings and I just can’t wait to make some. And congrats for being Yahoo! Food Blogger of the week. You deserve it and we should celebrate it! Thank you so much hon! Hooray! !